For an average day in above average comfort, reach for the Born Kent. 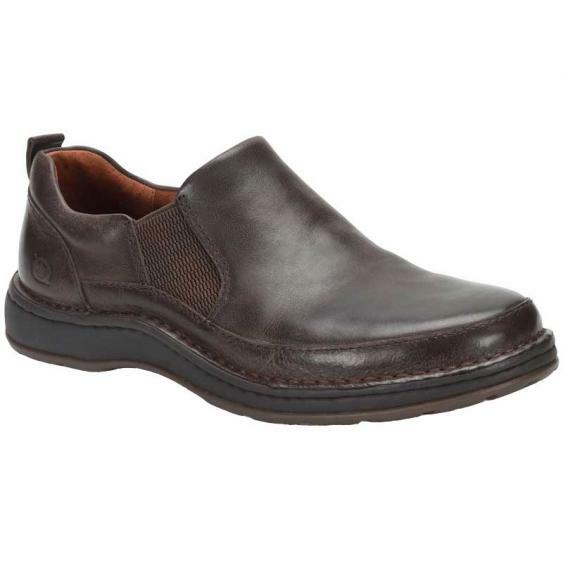 This men’s slip-on has an upper made of supple full grain leather with goring on both sides for a flexible step and a back pull tab to help with on/off. A microfiber lining offers next-to-foot comfort and Born’s Opanka Construction crates a durable bond without sacrificing flexibility. A padded collar creates comfort around the ankle and the Kent is finished off with an EVA and rubber outsole for traction. Slip on the casual Kent for a full day of comfort and style.